» Produkty na mole » Archive by Category "Lep płaski na mole"
Trap Simple and efficient pantry moth, monitoring device. It effectively lures food moths. Easy to use with long lasting action, basing on non drying glue formula. 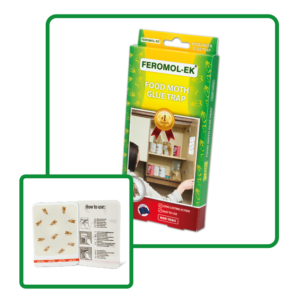 The food moth stripe trap, can be used as a monitoring device to evaluate the problem of pantry moth infestation at homes and industrial areas. Product is suitable for both retail and PCO market.